Capt. Edward SHEPARD (1596 – 1680) was Alex’s 11th Great Grandfather, one of 2,048 in this generation of the Shaw line. Edward Shepard was baptized in 27 Jun 1596, Elmstead, Essex, England. His parents were John SHEPARD. and Rebecca WALLER. He married Violet CHARNOULD on 6 Dec 1620, in Erwarton, Suffolk, England. Edward came with his family from England in 1639, he being the captain of his own ship, and settled in Cambridge, Suffolk, Mass. After Violet died, he married second Mrs. Mary POND, about 1650. Mary was the widow of Robert POND of Dedham, who died in 1637. One of her sons, Daniel POND, married her daughter Abigail. Edward died before 20 Aug 1680, (will proved) in Cambridge, Mass. Violet Charnould was baptized 26 Sep 1596, Mistley, Essex, England. Her parents were John CHARNOULD and Joan [__?__]. Violet died 9 Jan 1648/49 in Cambridge, Mass. 30 Mar 1652 in Dedham, Mass. 5 Jul 1661 Dedham, Mass. 15 Jan 1679, Braintree, Mass. ii. Anthony Shepard, b. 14 Jun 1601 in Elmstead, Essex, England; d. 13 Jun 1603 bur. Elmstead, Essex, England. iv. Edmund Shepard, bap. 20 Jan 1604/05 in Elmstead, Essex, England. v. William Shepard, bap. 16 Mar 1607/08 in Elmstead, Essex, England. Edward continued to be a mariner his entire life. 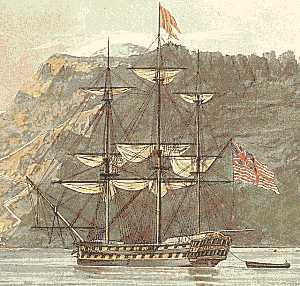 Twice he asserts to being a mariner in deeds – to Richard Champney, Mar. 19, 1652/53, and to W. Fessenden, Feb. 18, 1679/80, as well as in his own will dated Oct. 1, 1674. Also, mention is made in the record of the steward of Harvard College 1654, of two importations of wheat “from aboard Edward Shephard’s vessel.” He reportedly carried on trade between Boston and Hartford, and probably other parts. The baptisms for Violet and Elizabeth and the marriage to Edward are the only events found with the name Violet connected to a Shepherd. Mistley and Erwarton are just across the River Stour from each other, not too far from the modern port of Felixstowe, England. The River Stour leads to several major ports. Here is are Google Map Directions of the English places of Edward’s origins. An Edward Shepherd was master of the Samuell of Manningtree ~1624-1633, a small vessel used in coastal trade. “Edward Shepard bought of James Herringe one dwelling-house, with a garden, abutting John Betts northeast, Edward Mickerson on the north, Mr. Andrews west, The highway (now South Street, between Holyoke and Dunster [Google Maps] ) south. And a small garden, on the other side of the highway, abutting John Thrumbull east and south, Mr. Paine’s yard west, and the highway north. And on the south side of the Charles River, planting land, 5 acres more or less, abutting Boston field east, John Thrumbull and Mr. Andrew’s lands west and south, the highway and creek north”. Edward’s will names wife Mary, children John, Elizabeth, Deborah, Daniel POND in lieu of deceased daughter Abigail and Sarah. Edward’s name appears in the town records of Cambridge in various relations until 1680. His will was proven Aug 20, 1680. His son, John, sold the homestead Sep. 18, 1681, to Owen Warland. Edward’s will is on file at the Middlesex Probate Office in East Cambridge, MA. Edward’s son-in-law, Thwait(s) Strickland was a signer of the 1635 Covenant that established Dedham and was an original settler there. Dedham is on the Charles river, near present day Boston. John’s first wife Rebecca Greenhill was born 24 Feb 1630 in Staplehurst, Kent, England. Her parents were Samuel Greenhill and Rebecca Baseden. Rebecca died 22 Dec 1689 in Hartford, Hartford, CT.
John’s second wife Susanna Fruen was born 1635 in Hartford, Hartford, CT. She first married 1654 in Hartford, Hartford, CT. to William Goodwin (b. 1629 in Hartford, CT – d. 15 Oct 1689 in Hartford) Susanna died 1698 in Hartford, Hartford, CT.
John’s third wife Martha Henbury died Sep 1710. Elizabeth’s first husband Thwaite Strickland was born 1625 in England. His parents were John William Strickland and Jane Fenwick. Thwaite died 1670 in Glastonbury, Hartford, CT.
Elizabeth’s second Nicholas Disborough was born 16 Jun 1612 in Hartford, Hartford, CT. His parents were Nicholas Disbrowe and Mary Gylbye. Nicholas died 31 Aug 1683 in Hartford, Hartford, CT.
Just a belated further comment on the discussion about the namen’Thwaite’ in general, thrown up recently by some study of local maps. I don’t think anyone would ever have been baptised with the Christian name ‘Thwaite’ unless this was an associated family surname, eg, the maiden name of the mother. But Thwaite without a prefix was quite rare, I think, as a surname and the use of surnames as first (as opposed to middle) christian names was not very common, certainly in 17th. century Westmorland. mountain at the head of the valley. And the plot thickens yet more when it can be seen from Parish Registers and maps that there was quite a concentration of Strickland families in this precise area around the 17th century. ‘thwaite’ would almost certainly have been derived from Cumbria, somewhere, sometime. Deborah’s husband Jonathan Fairbanks was born about 1628 Sowerby, York, England. His parents were Jonathan FAIRBANKS and Grace SMITH. Jonathan died 28 JAN 1711/12 Dedham, Mass. Shepherd, Lawrence, “Search for the origins of Edward Shepherd,” Heritage Quest, 1989 Vol. 22-25, continuing. Shepard, James, “Descendents of Edward Shepard, Mariner, of Cambridge, Mass. 1639,” NEHGR, Vol. 32: 322-8, July 1878. This entry was posted in 13th Generation, Immigrant - England, Line - Shaw, Sea Captain and tagged Cambridge, The Samuell of Manningtree 1624-1633. Bookmark the permalink. In the section of this post referring to Edward Shepard’s siblings, you refer to his parents as Edward Shepard and Katherine Becham. Yet toward the beginning of the post you refer to his parents as John Shepard and Rebecca Waller. I’m confused. Thanks for catching the inconsistency. John and Rebecca is the most common citation. Most genealogies state that John was born in 1580 and Rebecca in 1588. Many also say John and Rebecca were married in 1599 all of which which seems incompatible with Edward’s 1596 birth. Several genealogies say John and Rebecca had one other child: Benet Shepard Stanley,(b. 1 Aug 1609 Ashford, Kent, England – d. Jan 1664/5 at the age of 55 in Hartford, CT. She married Thomas Stanley; born 1597; died 1662. Curiously, all these sources agree that Edward was baptized 27 Jun 1596, Elmstead, Essex, England. All for now, gotta get back to work! He is also my 11th Great-Grandfather! Thank you for sharing this information & I’d welcome any you may have going even FARTHER into the past. 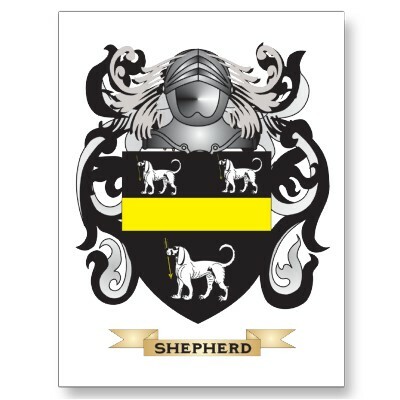 Do you have any documentation that a coat of arms or crest was officially given to Edward or prior Shepards? One other note…. Does anyone have any other documentation to determine more accurately the parents of Capt. Edward Shepard? Has anyone been able to determine where the baptisms would have been, as in what church, that perhaps we could contact for record verification?